Lovable Labels is a Canadian company that specializes in permanent labels. Their labels are UV resistant, microwave and dishwasher safe and are made to withstand children’s environment.Some of their products include multi-purpose labels, clothing labels, bag tags, household labels, safety products and stationery. The Lovable Labels has a brand new product called the “Holly Jolly Gift Pack” and I got a chance to review this product. 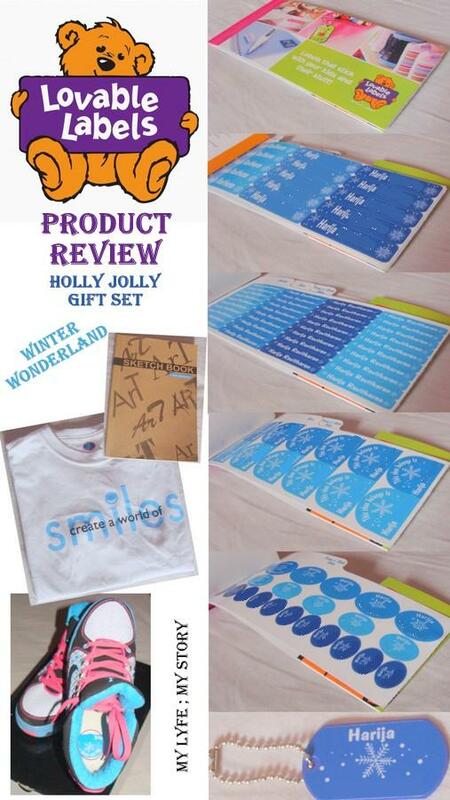 I choose the Holly Jolly Gift Pack Winter Wonderland for the product review. Looking for a unique and useful personalized gift idea? The Holly Jolly Gift Pack was designed with the essentials in mind. Wrapped in a pretty red foil package, Everything you need to cover the basics and more! First of all, I would love to give credits to Lovable Labels for the amazing services and the fast mailing service. I love the whole gift set and this would be the perfect gift for that special person who loves to stay organized or even to the special person who you think needs a bit help to get organized. As soon as I received the package I ended up using them right away. I placed the Press n' Stick Clothing Dots on the my gym tee and tried out the shoe label on my Air Jordan. Also, ended up using some labels on my books and even used the mini-metal tags on my wallet. Overall, I am still in love with this Canadian company, Lovable Labels and would reccommend this as the perfect gift for the holidays and even for birthday gifts. Now, you can purchase the Lovable Labels Holly Jolly Gift Pack Winter Wonderland or any other gift packages from their website directly. Do check out their website as they have lots of other products available! 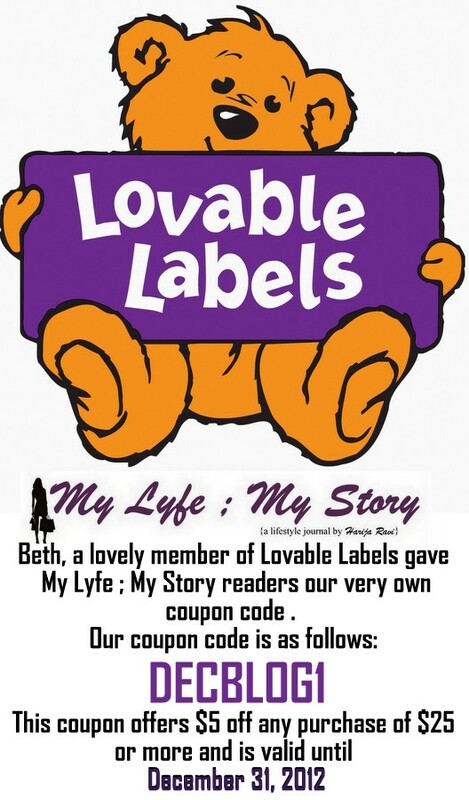 Also, the sweet members of Lovable Labels gave me a discount code to share with you all. So, spread the word to your friends, to tell this to their friends and tell their friends’ friends about this amazing offer. Take care & have a beautiful weekend! Disclaimer: I received a set of Holly Jolly Gift Set (Winter Wonderland) free of charge for review purposes. The opinions expressed in my review are honest and my own, based on my personal experiences with the product and not influenced by monetary compensation.